When your skin doesn’t look its best, it’s hard to feel your best. You could find all the products in the world, but when it comes down to it, sometimes what you really need is a good old fashioned weird skin care trick. Whether you’re trying to de-puff your eyes or cover up a blemish (fast! 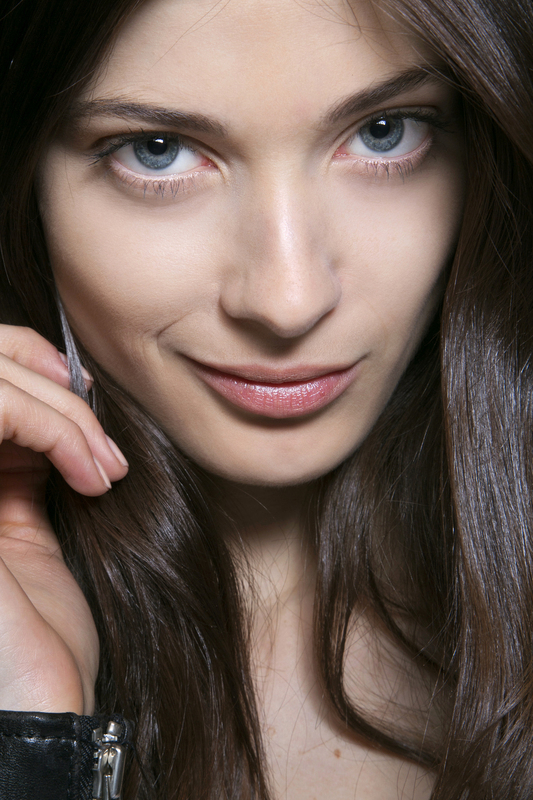 ), we’ve got some amazingly weird skin care tricks — that really work. 1. We’ve all had big, irritated blemishes show up overnight, and we all know how annoying it is to cover them up. For a quick way to get rid of redness, swelling, and any pain associated with the pimple, apply a dab of diaper rash cream to the area and it’ll practically shrink before your eyes. 2. Can’t get your makeup off at night? Grab a jar of coconut oil and use it to take off every trace of makeup before cleansing. While you’re using coconut oil to remove your eye makeup, make sure you use your ring finger as its the weakest, and will do the least tugging on the gentle skin around your eyes. 3. To maximize the work of your cleanser and exfoliator, opening your pores up pre-cleanse is key. Get a muslin cloth large enough to cover your face, then run steaming hot water over it until the cloth is steaming. Drape it over your face, take one deep breath in, and remove the cloth. Run it under the hot water again, and repeat for a total of three times (and three deep breaths). You’ll be opening your pores and softening your skin so that the product can work its way into your skin instead of just sitting on top. 4. Oily skin can actually be a sign of dehydration, so skipping the moisturizer can actually make the problem worse. One of the best ways to hydrate oily skin? Facial oil. It may sound counterintuitive, but if you apply face oil, your skin will realize that it doesn’t need to over produce oil on its own, and in turn, will balance out. 5. Stress and lack of blood flow can make skin dull and dry (not to mention the other scary effects stress can bring). To keep your body — and skin — in check, try a 10-minute yoga routine once a day, focusing on inverted poses like downward dog, child’s pose, and sun salutations. This will increase the blood flow to your face and the rest of your body, plus reduce the stress of a long day. 6. Every day, we face environmental toxins and free radicals that get into our skin, not to mention the toxins that come from the food we eat on a daily basis. To help release those toxins from your skin, make a mix of epsom salt, sea salt, and baking soda and pour it into a warm bath. Soak for 20 minutes, and your skin will thank you. 7. Looking for a natural astringent for oily skin? Brew one cup of tea with a black tea bag, then refrigerate until cold. Splash the tea water on your face, but don’t rinse it off. It’ll work to banish oily skin once you apply it regularly. 8. For extra dry, flaky skin, shampoo may actually be the answer. About once or twice a month, swap your usual cleanser in favor of a dandruff shampoo to balance the yeast levels in your face, which could be causing the flaky skin. 9. If you’re really into fragrance, you need two things in life: Your perfume to last all day, and a plan of action when you spray too much. To make your perfume last longer, begin by applying Vaseline to the pulse points you’ll be spritzing. Overdo it? Grab a cotton ball and a touch of rubbing alcohol, and dab onto the skin where you spritzed. The scent will be cut, but it won’t be ruined. 10. For sensitive skin that’s easily irritated, soak a washcloth in milk and ice cubes, then wring it out and let it sit on your freshly cleansed face for about 10-15 minutes. Between the pH level in the milk, the cold temperature of the cloth, and the protein, your skin will feel brand new in minutes.